JFR: Applicants who have completed Graduation (Arts / Science / Agriculture) or equivalent from a recognized Institute for NAFED Recruitment 2018. 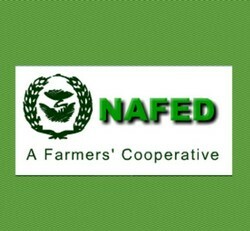 JAA: Applicants who have completed Graduate in Commerce with 1st / High 2nd Division or equivalent from a recognized Institute for NAFED Recruitment 2018. Eligible candidates may send their application as “Ms-Word” format only in the approved Bio-Data Format to recruitment@nafed-india.com on or before 27.07.2018, along with self-attested certificates pertaining to Educational Qualification (Including mark sheet in support of 60% marks or equivalent grade secured), Professional Qualification, Date of birth bearing 10th mark-sheet or birth certificate, Caste Certificate and Post Qualification Experience.